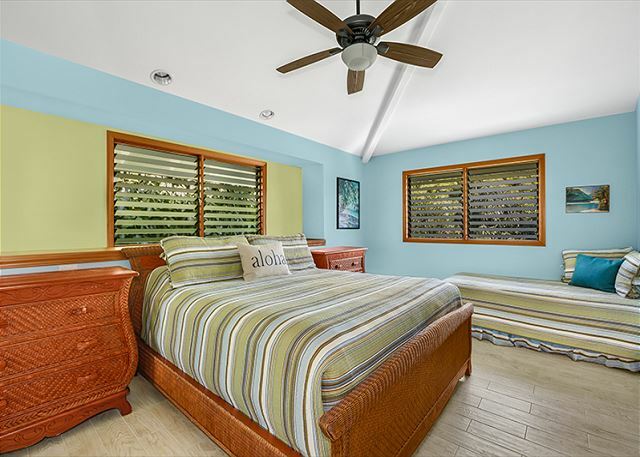 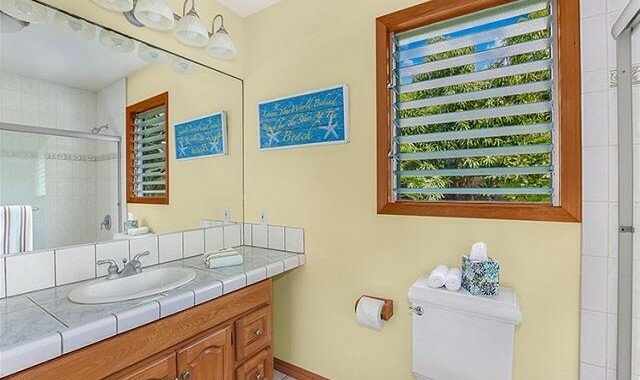 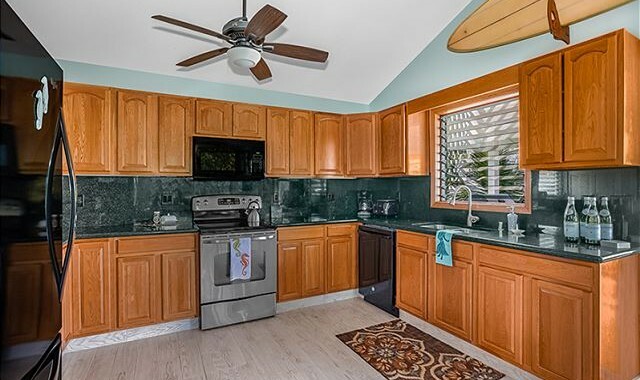 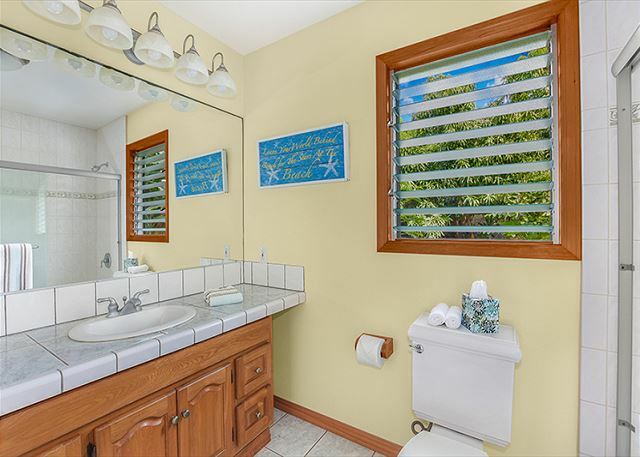 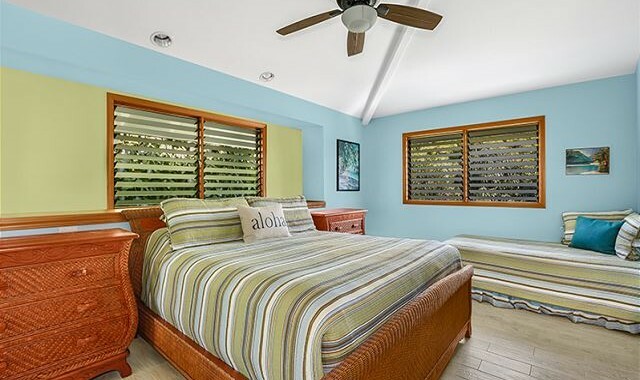 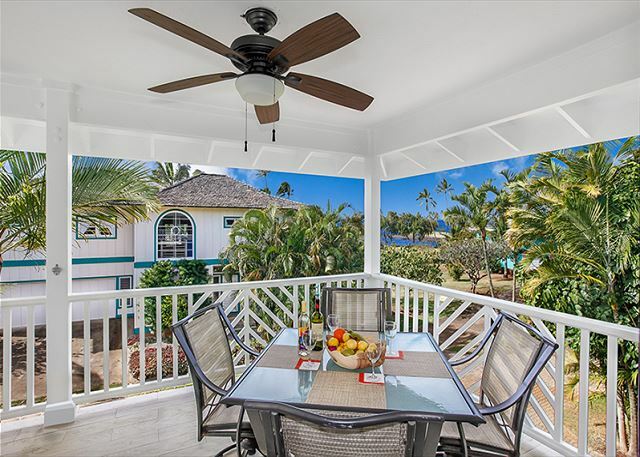 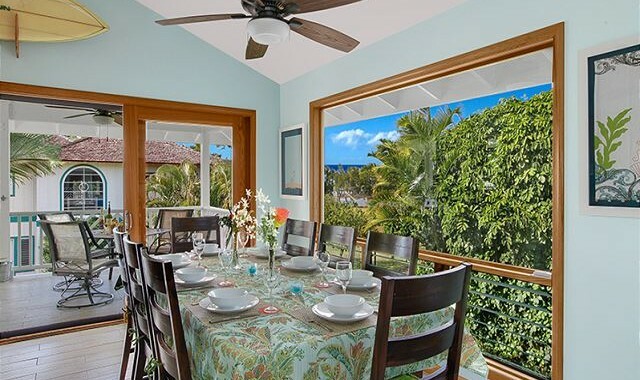 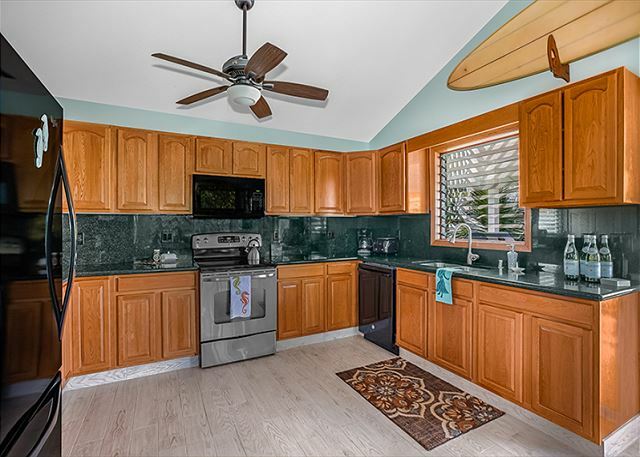 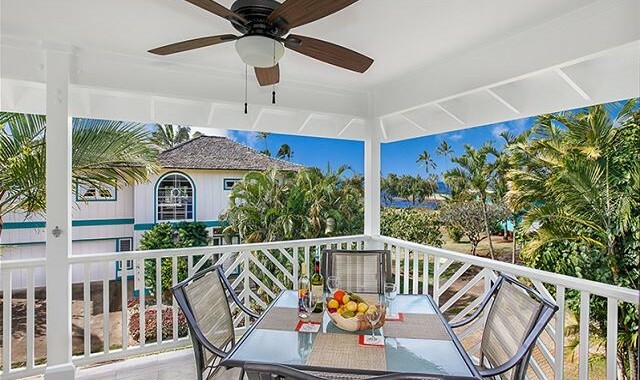 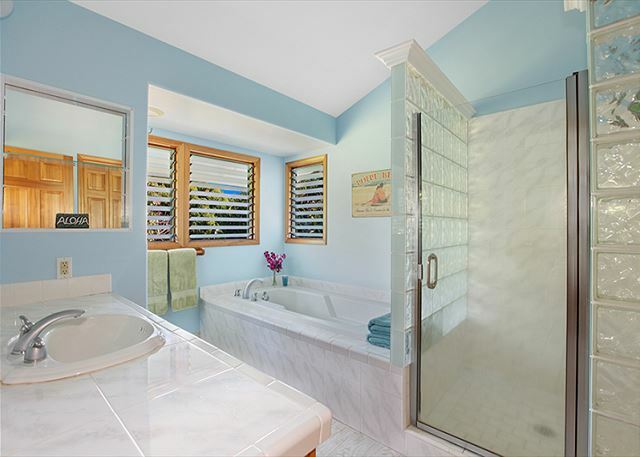 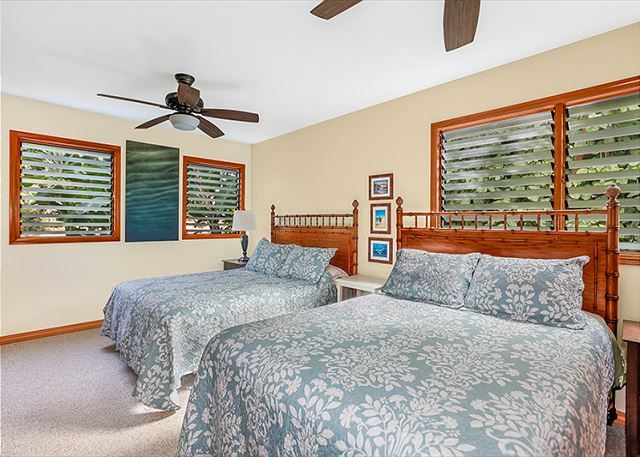 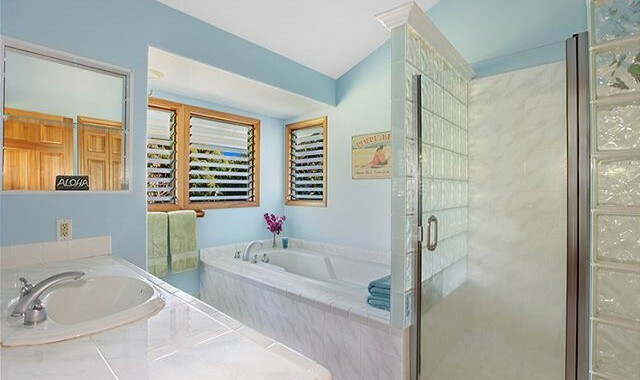 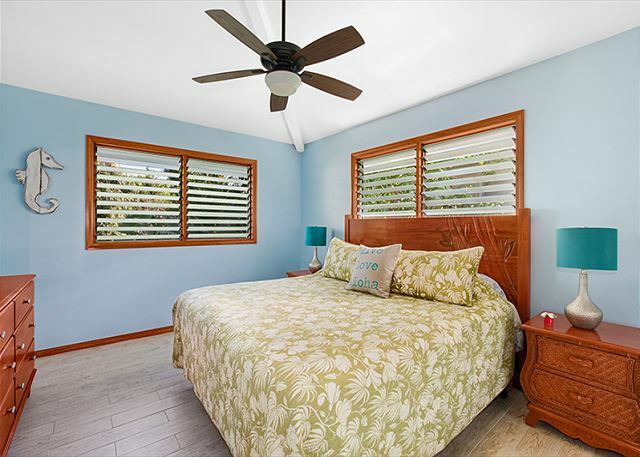 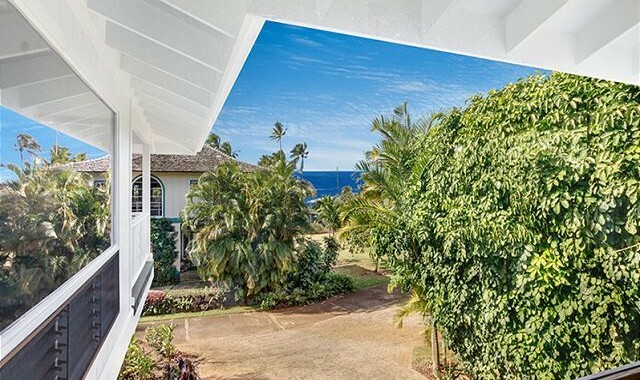 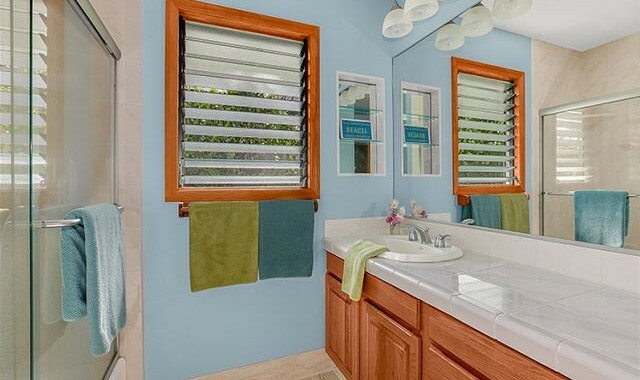 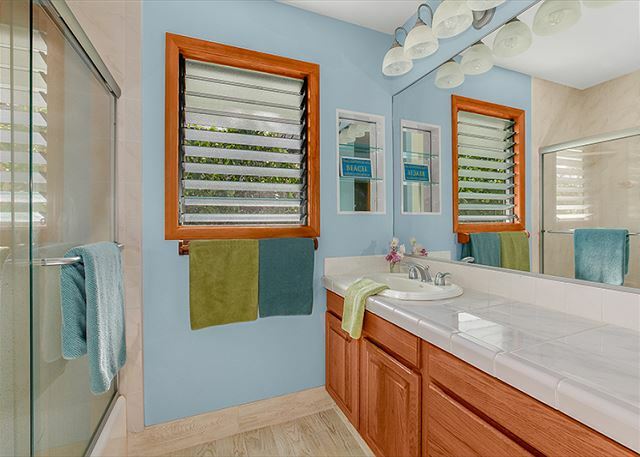 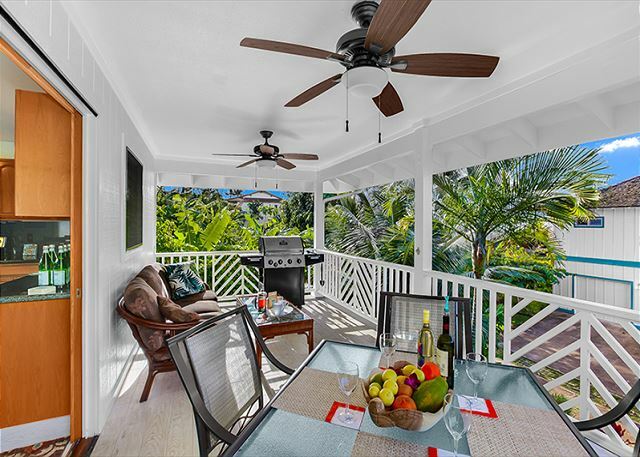 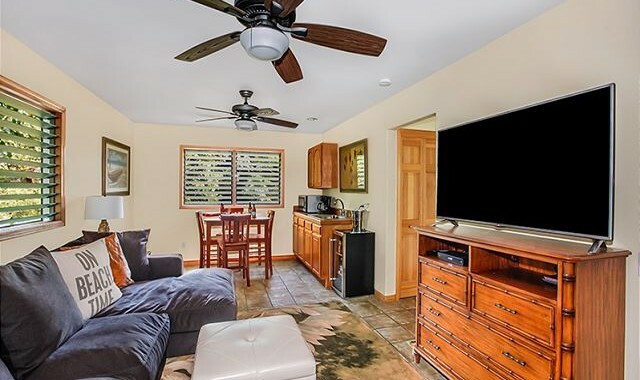 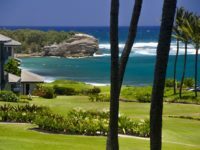 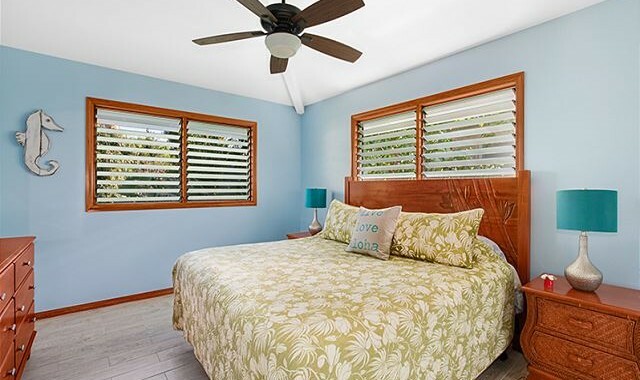 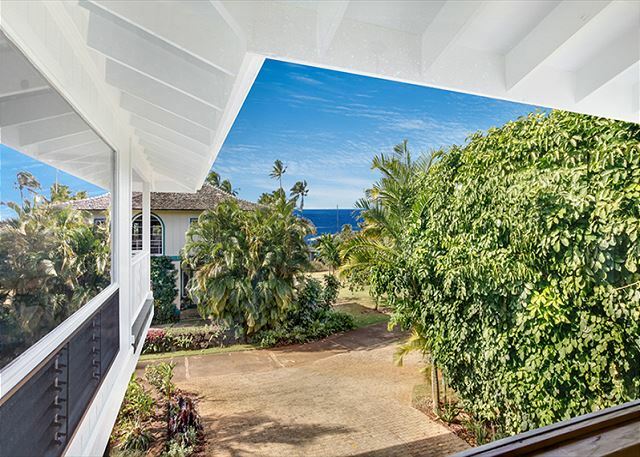 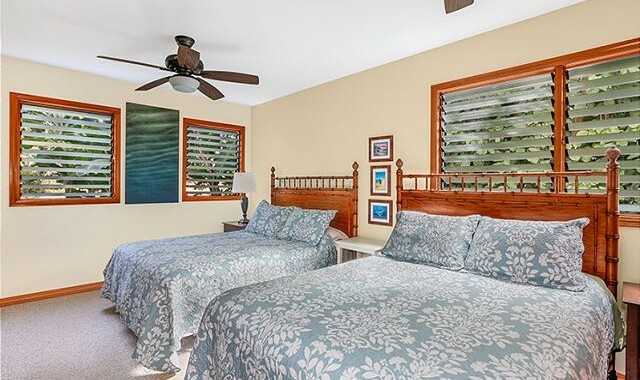 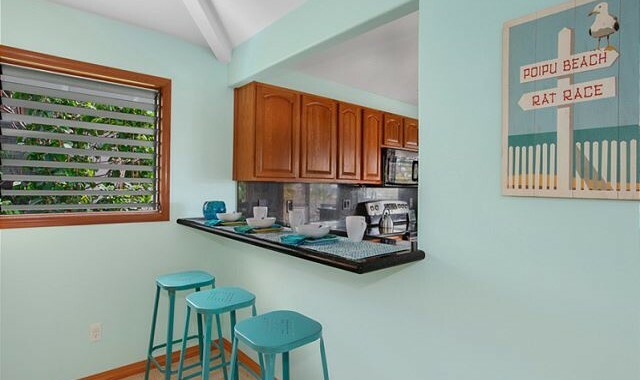 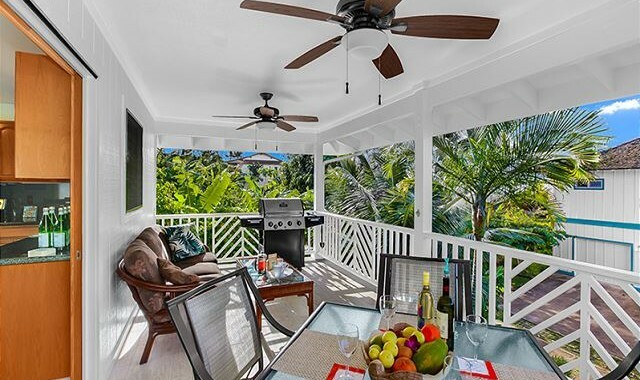 POIPU, KAUAI VACATION RENTALS: You have found the vacation home of your dreams at Poipu’s Kahele Kai. 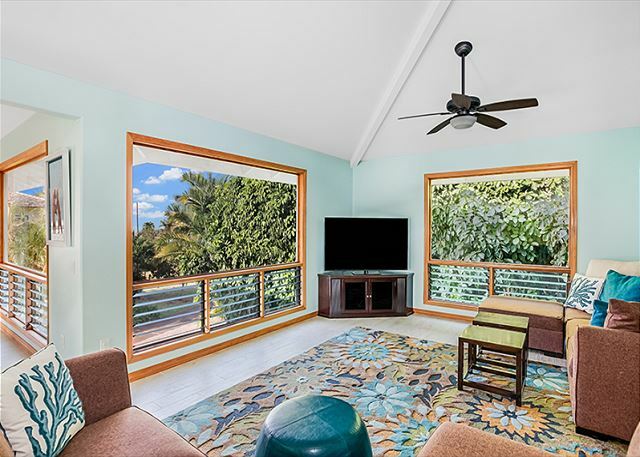 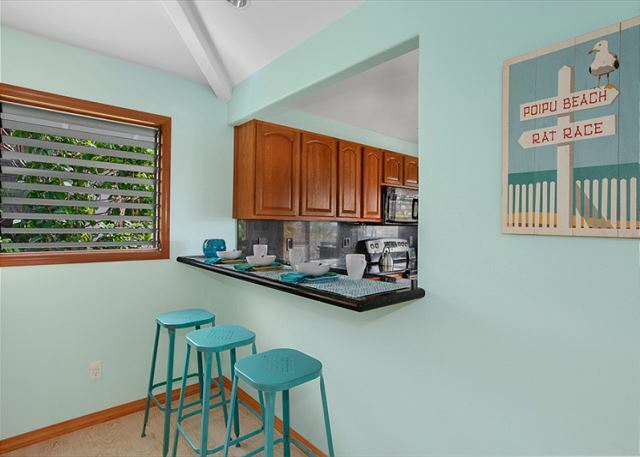 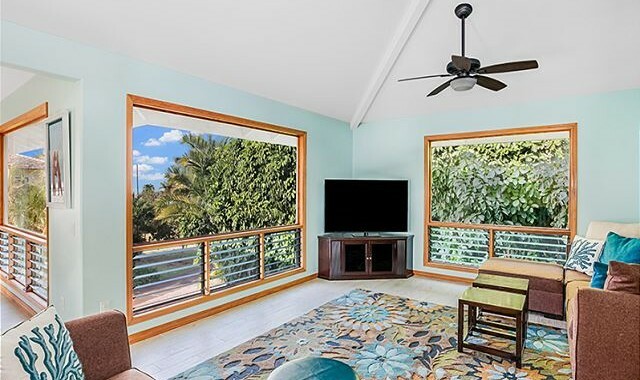 A gorgeous remodel with delightful choices in colors, flooring, furniture and amenities was recently and lovingly completed . 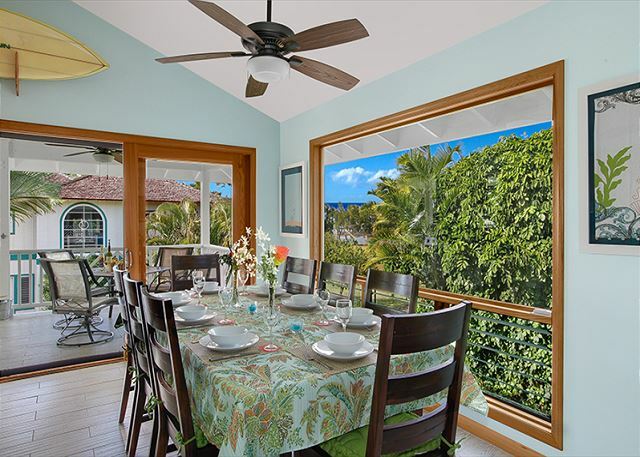 This two story home is spacious with 3 generous sized bedrooms, high ceilings, skylights, and views from every window. 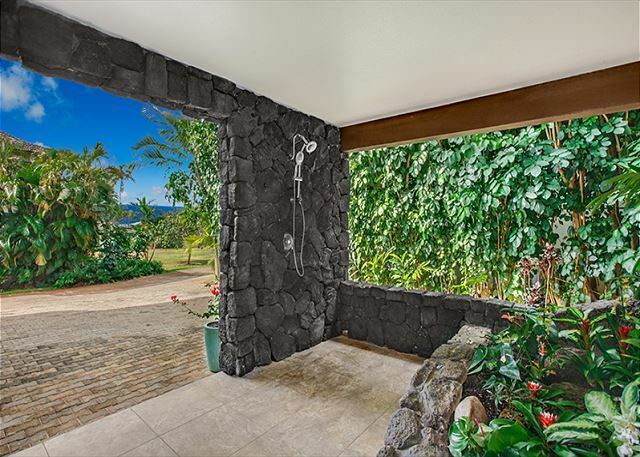 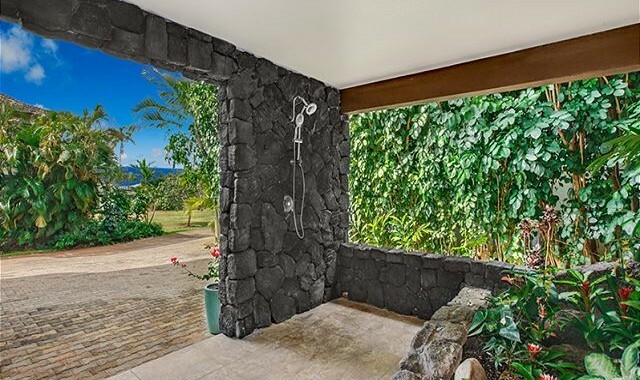 There is a lava rock garden surrounding the outside shower and foot bath, a garden of citrus and banana trees, as well as an herb garden. 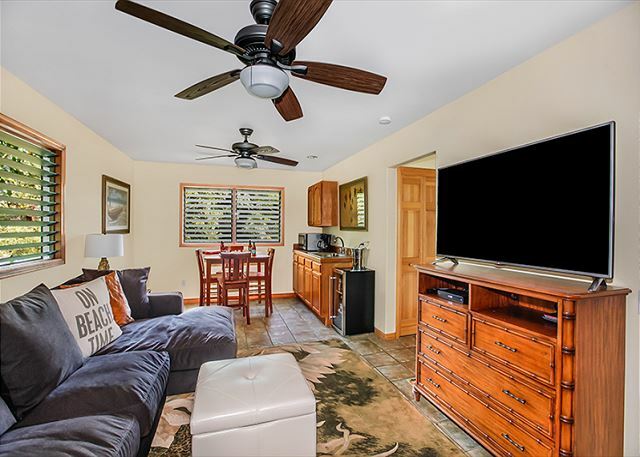 The family room is beyond expectations with the most comfortable couch ever in front of the new TV, steps from the mini bar, sink and fridge. 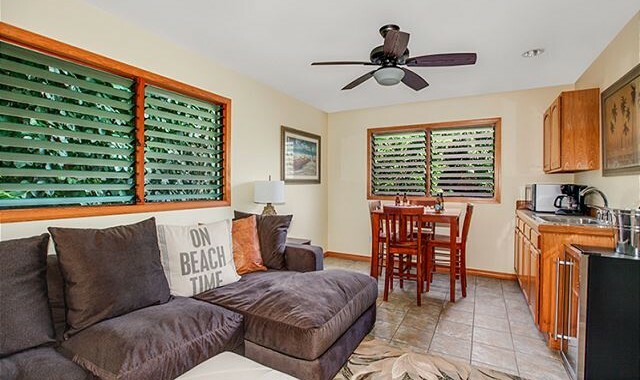 Décor includes the surfboard the owner was using when he proposed to his wife at the beach over 30 years ago. 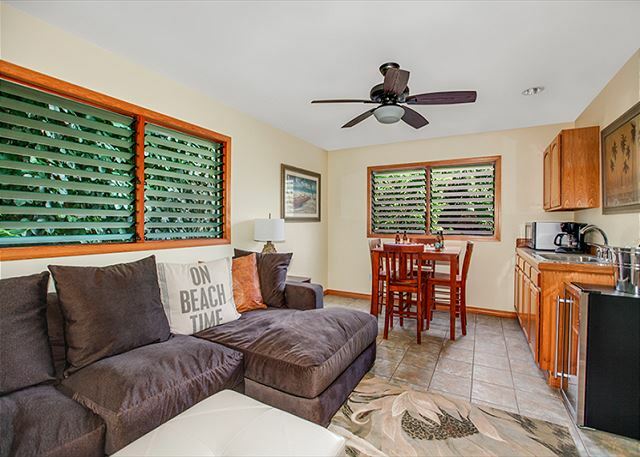 Kahele Kai (translation “pathway to the ocean”) is stocked with beach toys and a variety of baby gear including porta crib, baby gates and a baby seat that attaches to the dining table.